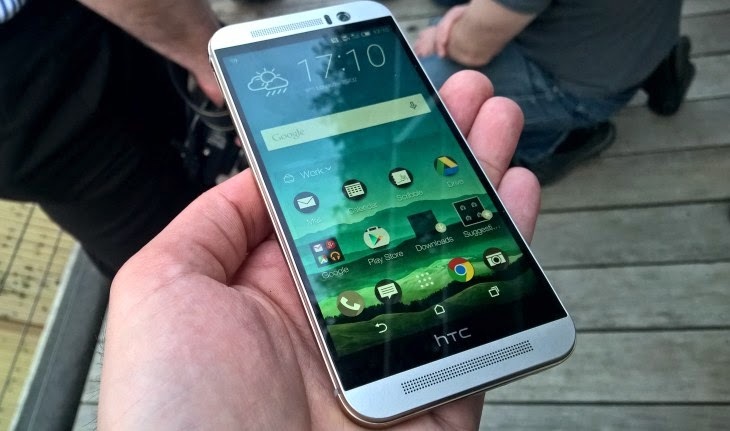 HTC have just announced its latest flagship handset HTC One M9. As there were many rumors and leaks goes about the handsets and finally its here. With the earlier handset of HTC One family M7 and M8, this is another big hit by HTC. There are many things on M9 which have same as M8, One M9 looks a lot like last year's M8. M9 have slightly changed in its designed beyond a relocated power button. But M9 still have 5 inch 1080p LCD screen which is same as M8. The One M9 is powered by a Snapdragon 810 octa-core processor backed up by 3GB of RAM. It have the storage capacity of 32GB, which can be expandable with microSD cards. The battery is of 2840mAh, and it have the front-facing dual BoomSound speakers remain in place, with Dolby Audio tuning. The phone will run on Android OS 5.0 Lollipop with HTC's Sense Seven skin. The biggest change that have been made is with cameras. As last couple of the handsets had 4-megapixel (ultrapixel) cameras but One M9 goes with much higher. Latest M9 have a new 20-megapixel camera with dual LED-flash, that ditches the gimmicky depth-sensing second lens. HTC has dropped the additional spatial imaging sensor found in the M8. It seems that One M9 will an evolutionary upgrade, but the actual result will be show after its performance. As HTC have once again focused on sound and media playback, hence you will have a dual front-facing speakers.